It is being said that Hero Motocorp, nation’s largest selling two wheeler company, plans to introduce not one, not two, but as many as four all new products in the coming times. Out of these four upcoming Hero vehicles in India, two will be scooters, while the other two will be motorcycles. All the four new products will be powered by Hero’s own motors. 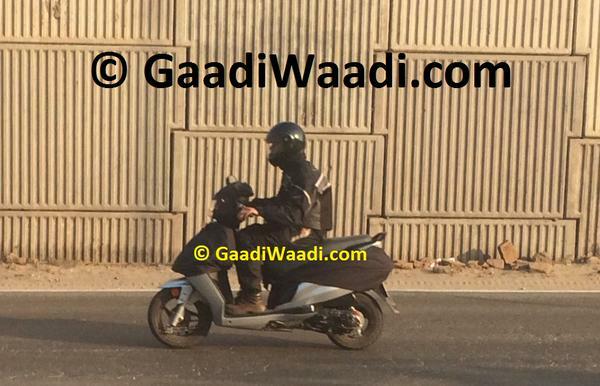 One of the two upcoming Hero scooters is the Dash 110 cc scooter, which you see in the spy images here. 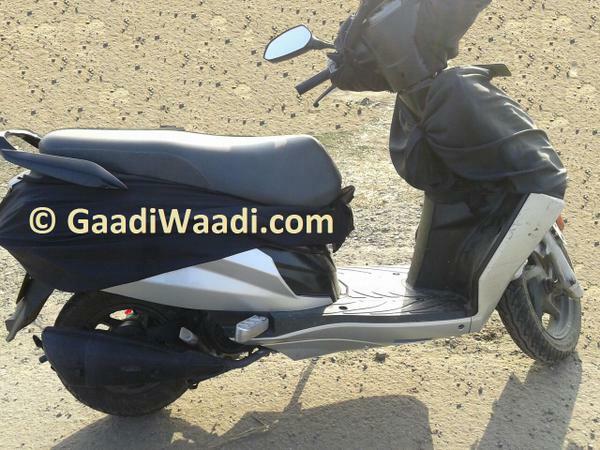 The Hero Dash 110 cc automatic scooter launch could happen around festive season this year, and the upcoming Hero scooter could go on sale for a price of INR 55,000. The Hero Dash will soon be launched and will go head to head with the very popular Honda Activa and the new Yamaha Alpha. The Dash is a male-specific scooter and should appeal to the middle-aged male automatic scooter buying crowd. It maybe noted that the Dash scooter was first showcased at last year’s Auto Expo, where it generated a lot of interest among the show goers. The Hero Dash 110 cc automatic scooter will come with features such as an external fuel lid, mobile charger, and a digital instrument console. At the heart of this scooter is a 111 cc, single-cylinder, air cooled petrol engine that is good for some 8.44 bhp of maximum power and 9.4 Nm of peak torque. Of course, the engine comes mated with a CVT. The Dash features telescopic forks up front and its 12-inch front wheel comes shod with 90/90 spec rubber. At the rear, it gets a 10 inch wheel that also gets a 90/90 tyre. As the spy pictures reveal, the scooter gets Drum brakes at both the ends, but there are good chances that a Disc brake will be offered as an option. Watch this space for more on the Hero Dash 110 cc automatic scooter.